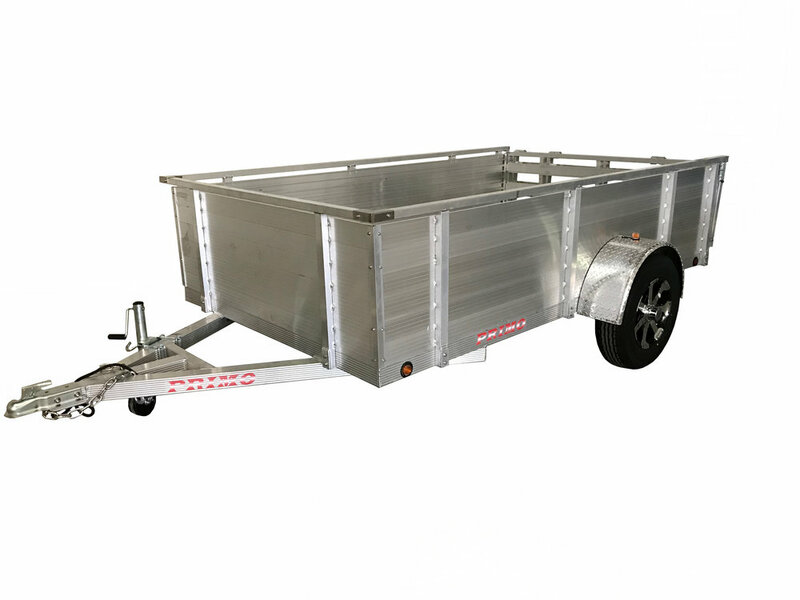 Utility Trailers — Primo Trailer MFG. Corp. Stainless Steel Hardware - Used wherever possible! 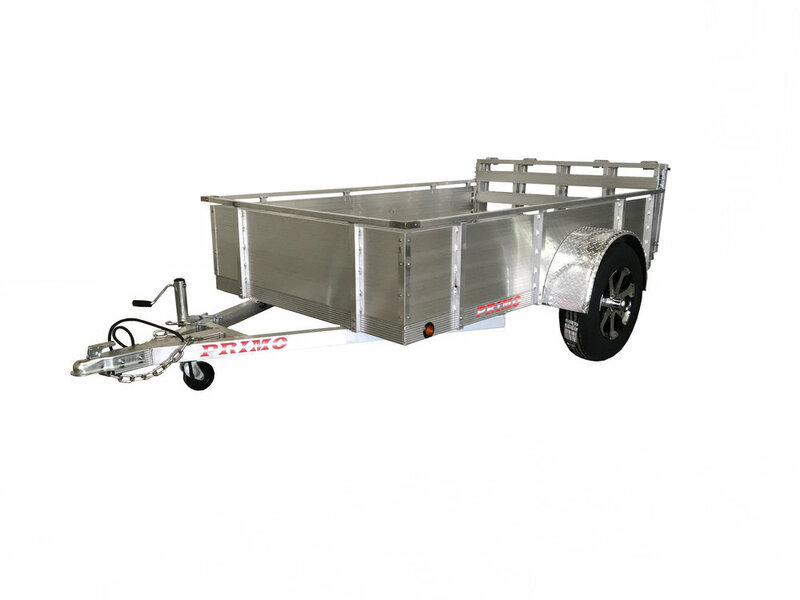 Primo uses the most stainless steel fasteners of any aluminum utility trailer on the market. Radial 15" Tires - Radials are proven to last longer and provide for a safer ride. Aluminum Mag Wheels - Aluminum mags will not rust & look awesome! All Recessed L.E.D Lights - Last longer & will not break as easy as standard lights especially when they are protected inside the frame. Swing Up Roller Jack – makes it easy for you to maneuver your light weight trailer around the driveway and store when ready to travel. Bi-Fold Gate – Lower profile gate for less wind resistance and allows for Kayak/Canoe carrying across the top of the trailer. Stainless Steel ADJUSTABLE ramp clamp - Makes our PRIMO bi-fold ramp tight and secure so it does not rattle. Can be adjusted over the years to tighten. Aluminum Extruded Decking Standard - Lighter and lasts virtually forever. Won’t rot like wood will. Plus just looks a lot better. PRIMO designed for the consumer – if you bend or dent a fender, side kit or ramp you can easily replace with simple tools (don’t need to bring to welder). Solid side height: None, 16" or 24"
Rail height: 12", 18” or 26"
Rail height: 12” , 18" or 26"